The following are services We offer in-house in the area of Allied Health. All these services can be accessed directly, just make an appointment at Reception. All our Allied Health Practitioners are registered with their own Professional Board and their services are therefore rebatable through Private Health. If you suffer with a long standing medical condition, then you may be able to access these services through a chronic care care-plan. 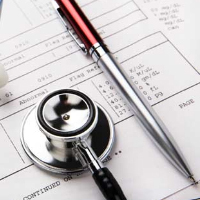 Your GP can set one up for you, after which Medicare rebates up to 5 visits per year, for Allied Health Practitioners. Please note that most Allied Health Practitioners do not bulk-bill outright. Accounts need to be paid on the day and then Reception can process your refund (if one is forthcoming), directly to your card. See the fees page for more information. There are very few Dieticians in Townsville and we are happy to offer this service to our clients, in-house. You need nutrition advise if you feel fatigued a lot of the time, you are overweight or obese, you suffer with any number of long standing medical conditions, you have erectile or libido difficulties, you suffer with constipation and/or diarrhoea, you suffer with an eating disorder like anorexia nervosa, bulimia and/or morbid obesity. Our Podiatrist can take care of your lower limbs and feet problems. Especially important for the elderly and people with diabetes and other chronic conditions. Podiatry is also essential for people suffering with aching feet, cramps, calcaneal spurs, etc. Go to the Australian Podiatry Council for more info on Podiatry. All Indigenous clients can access an Indigenous Health Worker who is specialised in facilitating access to appropriate health and social services depending on needs. This service can be accessed only via an Indigenous Health check or a chronic condition care plan which your GP can set up. 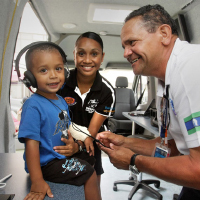 For an example of what Indigenous Health Workers can do, see Healthinfonet. Diabetes Education is a big area of specialisation and we have got it covered!! 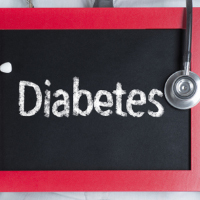 Diabetes is a life-time condition and requires life-style and dietary changes. Diabetes educators help clients achieve their best level of health and manage their diabetes optimally. The impact that diet and life-style have on diabetes have been quantified to be much more effective than medication (and without side effects!). The Australian Diabetes Educators Association is the best source for information on this discipline. Health & Wellbeing North Ward GPs also refer patients to Exercise Physiologists, Osteopaths and Chiropractors, Audiologists and Optometrists when appropriate, even though at the present time we do not have anyone with these practitioners in-house.